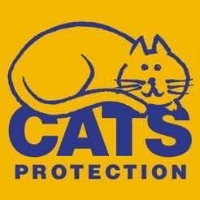 Always and in every way caring for cats. 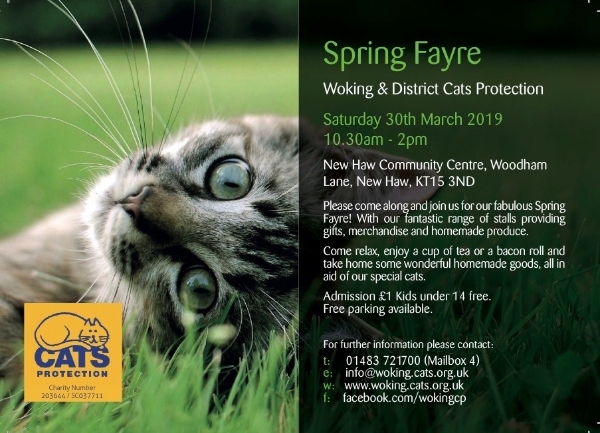 Woking Cats Protection are holding their Spring Fayre on Saturday 30th March at New Haw Community Centre, 65 Woodham Lane, KT15 3ND from 10.30am to 2.00pm. Admission is £1 and children under 14 are free. This is a popular fayre so come along to buy some gifts from a range of stalls selling jewellery, cards, bags, pet beds and accessories, craft products, jam, marmalade and delicious home-made cakes. Try your luck on the chocolate tombola and raffle to win one of the super prizes. Sit and relax in the refreshment hall with a drink, hot snacks and a slice of cake. All proceeds are used to help cats in need.